Among the many topics that President Obama failed to touch on in his concern for creating and keeping U.S. jobs was the future of the U.S. Postal Service. 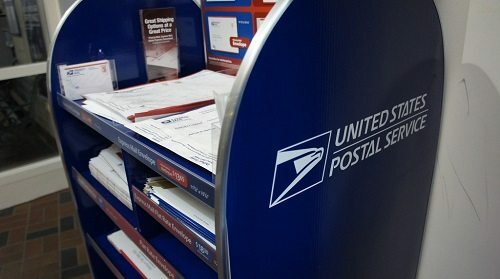 In 2003, the USPS employed 729,025 “career employees,” but by January 2013, that number had dropped to 522,144, a decline of over 28 percent in one decade. Although less than 12 percent of the labor force, blacks occupy 20 percent of USPS jobs. This higher-than-expected proportion is due to the fact that the USPS has been historically less prone to racial discrimination than the private sector, and even other parts of government. As a result, the nation’s failure to right the ship of the currently money-losing USPS means that blacks are statistically more likely to be laid off as the USPS retrenches than whites. For many people of color, public sector employment, especially at the Post Office, has been an important “ladder” into the middle class. The one-year and five-year operating and financial plans for the Postal Service predict revenue losses accompanied with ever-increasing debt service on loans the Service had to obtain in order to stay afloat. That all but assures additional layoffs, which will disproportionately hit people of color—based on the continuation of the Postal Service’s traditional core business plan concepts. But what if the nation were creative about the USPS? What if, instead of turning postal workers into dim, expendable caricatures of Cliff Clavin, the nation were to develop a different business plan with income-generating ideas that haven’t been on the USPS table much, but are not unknown functions for the postal services in other nations. One idea that has been kicking around for a while was recently reaffirmed in a report issued by the USPS Inspector General on January 27th. The report recommended that the Post Office take on the function of providing nonbank financial service for the underserved. The potential services recommended by the IG included offering a “Postal Service branded open-loop reloadable prepaid card,” basic check-cashing services that could load a person’s paycheck onto the “Postal Card”, products to encourage savings, small loan credit services (“Postal Loans”), and other services. If you think that Americans don’t like or trust the Postal Service, it’s not true. Despite debates over whether to further subsidize the Postal Service, the American public trusts the people who deliver the mail. A recent Pew public opinion poll showed an 83 percent approval rating for the Postal Service, much higher than the federal government legislators and executives who are debating the Postal Service’s future—and much higher than opinions about banks. In 2012, only 21 percent of the public expressed confidence in the banking sector. Attitudes toward the barely creditable check-cashing and payday lending operations would suggest that the Post Office would be a more trustworthy financial services provider to unbanked and underbanked Americans than the nation’s financial services sector. This is a case of the Postal Service searching assiduously for socially entrepreneurial possibilities and the clunkheads in Congress—and perhaps the White House, too—making sure that nothing good happens to revive it. In 2007, the Postal Accountability and Enhancement Act prohibited the Postal Service from offering new “non-postal” services. In other countries, postal services are structured to offer a wider array of services than their U.S. counterpart. In Germany, Deutsche Post offers postal banking services, logistics services (it owns DHL, for example), and a variety of digital services including online marketing services. In the U.K., the Post Office’s self-description is, “At the Post Office our aim is to provide you with the things that are important to you – from your mail to your broadband package, your car insurance to your savings account” and most recently has been advertising its mortgage banking service provided in conjunction with Bank of Ireland UK. But in the U.S., that kind of entrepreneurial creativity has been legislatively determined to be out of bounds—almost. The IG notes that because the Postal Service already provides services such as postal money orders, exploring banking functions like savings cards, debit cards, and small loans are within the USPS’s legislatively allowed authority. Logically, the banks will react poorly to the IG’s proposals, and even payday lenders and check-cashing companies will use their lobbying arms to protest the competition that a USPS delivering non-bank financial services might generate. Nonprofits are constantly striving to expand their own entrepreneurial opportunities and decrying the lack of entrepreneurial DNA in the public sector (technically, the USPS is an independent agency of the U.S. government overseen by a nine-person board appointed by the President). In this instance, an entrepreneurial mindset could help make the USPS a going business concern—and an important employer for hundreds of thousands of Americans who have entered and stayed in the middle class as a result of USPS jobs.